Thousands of people use Techni-Print Heat Transfer Paper to create T-Shirts, Mousepads, Tote Bags & more using their laser printers... Techniprint is virtually the only transfer paper that will work in today's High Heat Desktop Laser Printers. Since fuser oil is rarely used in the current laser printer, the need for a paper that can withstand high heat, which is generated from a Fuser Unit (heating element), was needed. Neenah Paper, Inc. is the largest Heat Transfer Paper manufacturer in the world. Neenah recognized the need for this product and set out to develop a product that would stand up to this high heat, time and time again. After several variations, the current techni- print product is the best paper on the market for desktop laser printers. The demand for Techni-Print continues to grow as the price for laser printers continues to decline. Cheap laser printers are quickly becoming the printer of choice, which means TechniPrint is here to stay for quite some time. -Start with plain paper mode. If toner does not fuse completely or you get lines in your print, adjust your setting to a heavier paper mode like heavy or transparency. -Mirror the image.This can usually be done within the printer’s property panel. 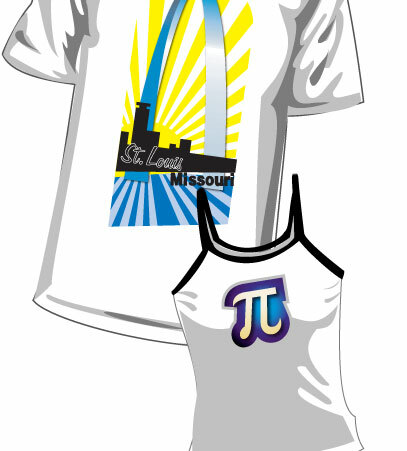 -Prepare heat press at 375 degrees F.
-Place heat transfer paper with image facing down in desired position on fabric. -Using above recommended temperature, apply firm pressure (60 PSI or greater) for 30 seconds. Note: Techni-Print Papers are designed for most newer technology oil and oil-less laser printers and copiers. No inkjet printers. Best on light colored 100% cotton, 50/50 cotton/poly blends, or 100% polyester. Call us toll-free at: 800-562-7760. IMPORTANT: We thoroughly test each of our products on various substrates using different transfer equipment. However, it is impossible for us to duplicate all variables using all substrates and transfer equipment. Therefore, it is essential that you test the paper prior to production using your equipment, methods, and substrate material. Heat presses vary in accuracy. Conduct tests to determine the best time and temperature to use with your equipment. Please keep in mind that the Seller’s and Manufacturer’s maximum obligation shall be to replace any paper that has proven to be defective. Neither the Seller nor the Manufacturer shall be liable for injury, direct or consequential, arising out of the use of, or inability to use the paper. -Coastal Business Supplies, Inc.